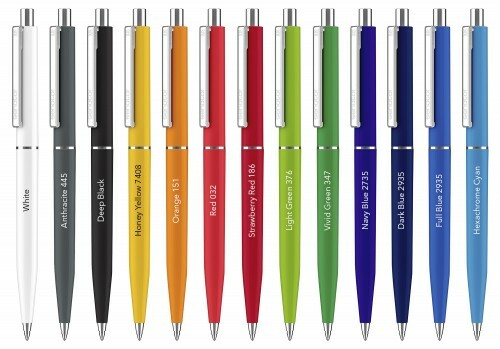 Retractable ballpen with metal fittings. Metal push-button with plastic inlay in a barrel colour. Fitted with a blue plastic A2 refill.